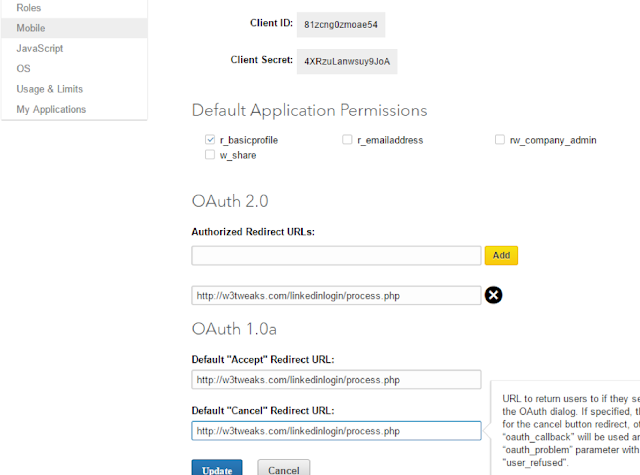 Now a days most of students & peoples are hate to fill the registration form so everyone move on the new options for OAuth connection like Google, LinkedIn, Twitter etc.. 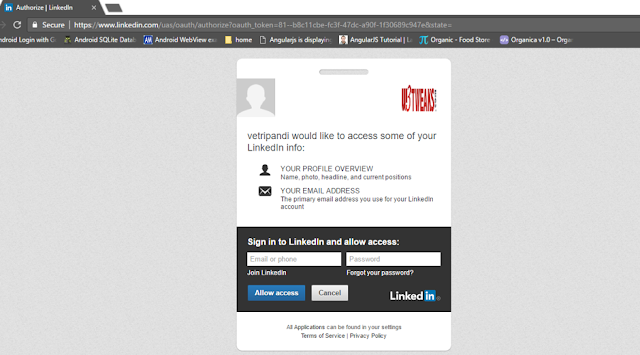 So this is the reason of I have develop Login page with LinkedIn API. Fill the all fields that’s very simple. 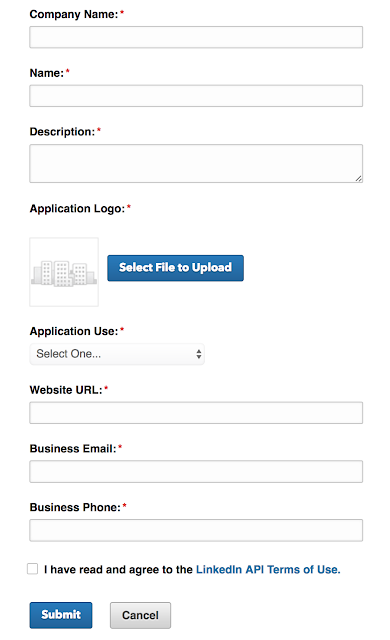 Then enter your Website URL or Localhost server URL, click submit. Now time to create database to store the user information like linkedin user information. Create one database (database name is – linkedinlogin), then just import the user.sql file in your database. That’s all the database code to store the user information. The homepage design for LinkedIn click button when the user click this its directly redirect on LinkedIn site and get the information for user & authenticate with your website. The actual code for process.php to redirect and get the full access of LinkedIn information. Open process.php file. // in case if user cancel the login. redirect back to home page. die(&apos;Please go to LinkedIn Apps page https://www.linkedin.com/secure/developer?newapp= , &apos;. &apos;create an application, and in the line &apos;.$application_line. &apos; set the client_id to Consumer key and client_secret with Consumer secret. &apos;. &apos;The Callback URL must be &apos;.$client->redirect_uri).&apos; Make sure you enable the &apos;. You have don’t change any code in process.php file. That’s all. If you have any doubt regarding this feel free to comment below.